Divine Sorrow started as an idea to explore the deeper side of no-nonsense, no rules, hard rock music. Music without programmed hooks and meaningless lyrics. An idea that music could tell true stories that connect to its listeners. In 2012, Divine Sorrow’s debut album “Tales of Descension,” took them from relative obscurity to local and national radio airwaves with their release of “Everything,” a melodic dark horse that connected with thousands of fans. With this came many national awards including 2012 Charter Center Stage “Best Unsigned Band” along with glowing national and international reviews. It also earned them opening slots for bands such as Filter, Helmet, Days of the New, Boston, Kansas, April Wine, Sebastian Bach, The All American Rejects and Ace Frehley. The Riverfront Times Readers choice voted them “Best Rock Band” and “Best Rock Album of 2012”. But the band is best known for its incredible live performances, packed with powerful depth and delivery. 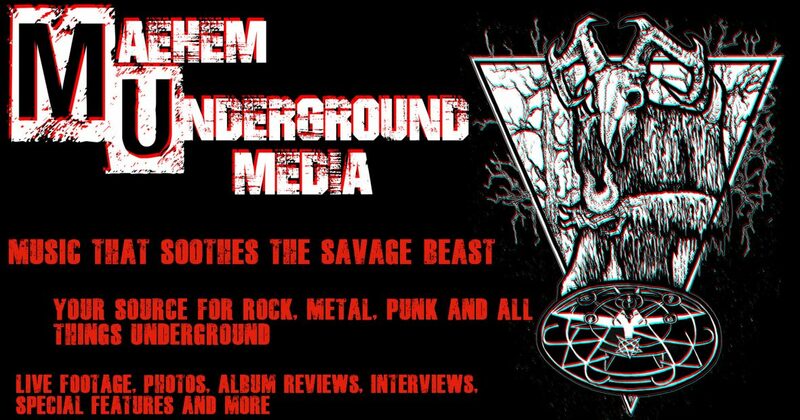 Below you can check out our interview with Divine Sorrow’s Bass player and lead vocalist, Bryan Chapell. We here in Wisconsin feel that there is a resurgence in the hard rock/groove metal scene, could you say the same for your area? We are having a resurgence for original hard rock. St. Louis is a tough town for original music. Our club scene favors tribute bands and such. We have been fortunate to find our loyal fans and friends attending our events. They make it all worthwhile. Congratulations on your show with the legendary Phill Anselmo and The Illegals! How did this gig come about? We have a great relationship with Pop’s Concert Venue, one of our local clubs that carries national acts. We were offered the spot for Phil Anselmo on a Thursday morning. I jumped on the offer. Another bucket list show for us. We have opened for so many nationals over the last seven years. This one’s a standout. My favorite question to ask; who are some of your most inspiring/inspirational bands from your scene? If I’m being completely honest, I have to tell you that I’m a bit of a recluse. I’m completely inspired by a few bands. Kings X is number one on my list. Maynard is my second. Between Tool and A Perfect Circle, it’s hard to imagine something more inspiring. Just deep and heavy melodic grooves, with dark lyrics about subjects that enlighten us all. I hate fluff and riffs, just for the sake of riffing. I like to lay things out on the table and see who can climb inside with me. What is your craziest fan experience? My craziest fan experience happened one day, for no particular reason at all. I got a call from a friend that was in another state, far away from our hometown. When I answered, he asked if I could speak with someone. I said sure… next thing I know, there is a girl telling me how my songs got her through a very difficult time in her life. She was fighting some pretty difficult things, and she found something in the music I wrote, that she could find strength in. Pretty much floored me. She was in Utah, a thousand miles away and found my songs. Makes a realization that music is a very powerful thing. Now on the crazy side of fans, I was shopping at a store and heard camera sounds coming from the next aisle. I turned my head to find two girls, one on another’s shoulders, taking pictures of me over the shelves. I walked around the end cap and said hello. I told them to take a few pics with me, and I would share them on my pages. One thing I’ve learned, a band is nothing without the people that support it. There are a thousand stories. Some really crazy, but I always try to share the positive. What does Divine Sorrow have to look forward to in the future? Any tours in the works? The thing we are setting our sights on currently is the release of our third album, ” “The Far Beneath,” and working with our new management on some upcoming shows on the road. We have also been submitted to some more prominent, national outdoor festivals. We are ready to throw down with some big bands and show them what we have. Writing and performing is a giant roller coaster. Ups and downs and crazy turns. But make no mistake, we are ready to ride. Connect with Divine Sorrow online in the links below!